Demand for MSPV Armoured Luxury Vehicles is growing as celebrities and VIPs seek a stylish ride that protects from bullets and blasts. 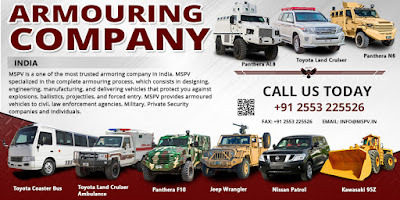 MSPV is proud to offer armoured vehicle for business tycoons, celebrities and diplomats. These armored vehicles are the perfect solution for navigating some of the most dangerous places on earth while protecting valuable assets. 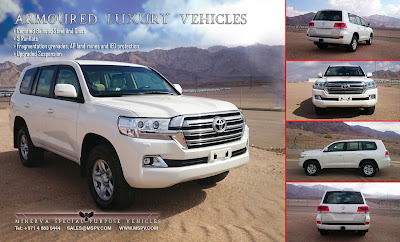 There are several reasons for Why Celebrities, Businessman, Leader and VIPs Buy Luxury Armored Vehicles from MSPV? We are ISO 9001:2000 certified for design, manufacture and supply of custom armored vehicles. 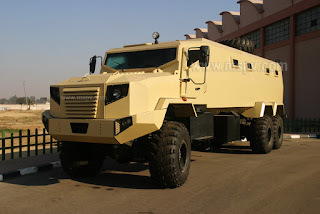 MSPV armored vehicle is designed for security personnel and VIP transports. The vehicle is protected with certified armour. Armour includes front, sides, rear, roof, and floor. These vehicles are designed to resist any incoming threats from any angle protecting the driver and passenger. MSPV armored luxury vehicles are state of the art cars that offer our customers protection and comfort; our engineers spend a long time designing every car individually for every customer. We offer many features some offer extra protection while others offer comfort but you can rest assure that our vehicles can always be relied on. Our vehicles effectively operate in some of the most hostile environments on the globe, when it comes to protection there is no other. Such an appreciable blog post having an interesting piece of information. This is very informative too, these cars are amazing. Thanks for posting & keep blogging.